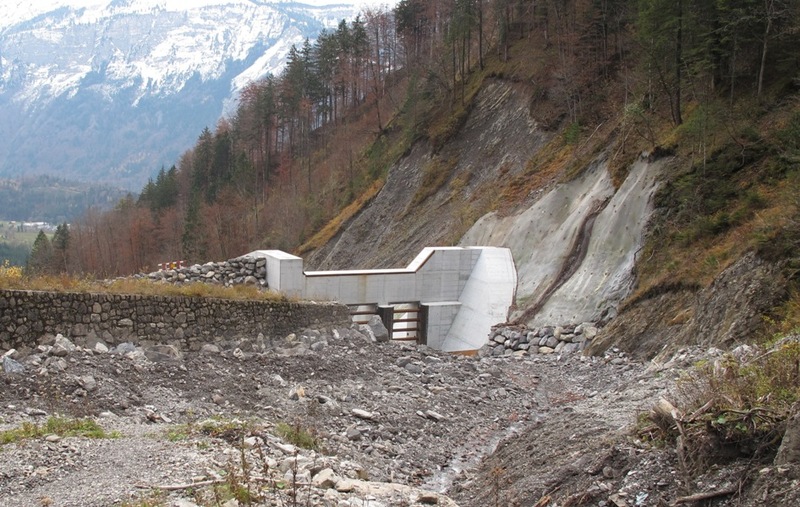 International Frameworks for Disaster Risk Reduction: Useful Guidance for Sustainable Mountain Development? Paper published by Markus Zimmermann and Margreth Keiler in Mountain Research and Development. In recent decades, a number of global frameworks have been developed for disaster risk reduction (DRR). The Hyogo Framework for Action 2005–2015 and its successor document, the Sendai Framework for Disaster Risk Reduction, adopted in Japan in March 2015, provide general guidance for reducing risks from natural hazards. This is particularly important for mountainous areas, but DRR for mountain areas and sustainable mountain development received little attention in the recent policy debate. The question remains whether the Hyogo and Sendai frameworks can provide guidance for sustainable mountain development. 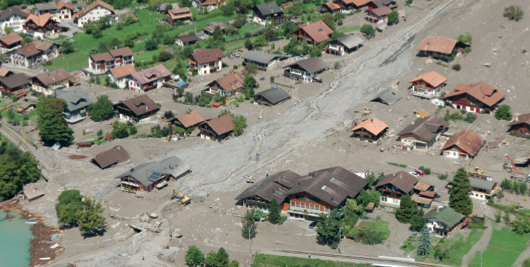 This article evaluates the two frameworks in light of the special challenges of DRR in mountain areas and argues that, while the frameworks offer valuable guidance, they need to be further adapted for local contexts—particularly for mountain areas, which require special attention because of changing risk patterns like the effects of climate change and high land-use pressure. Paper published in Mountain Research and Development, Vol. 35, 2, 195-202. NDR Consulting has been active (through SDC) in supporting the drafting process of the Sendai Framework for Disaster Risk Reduction (PDF) before and during the Sendai Conference. Flood Maps are tools to visualize flood information for decision makers and the general public. These maps form the basis for developing flood risk scenarios based on land use, various environmental and climate conditions and including social and economic conditions. 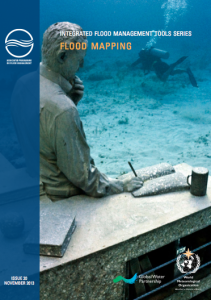 Flood maps in their various formats and scales are the basis for the planning and implementation of development alternatives. In addition to the general objective of a flood map, special uses require specific information including maps that depict exposure to floods of various recurrence periods, flood risks, vulnerability and response information such as evacuation routes, safe high grounds, shelter areas etc that are of utmost importance in flood plains but also in coastal areas at risk of storm surges and tsunamis. Different methodologies are presented in the production of flood maps for various purposes to support decision‐making at all levels. 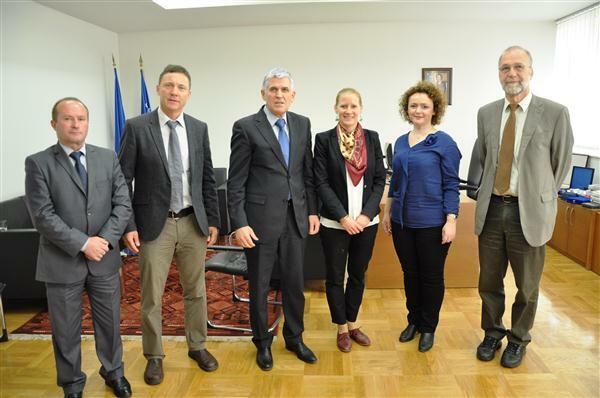 NDR Consulting GmbH compiled and edited the recently published tool with support from the Technical Support Unit of APFM, the UNOSAT team (Geneva) and Roberto Loat (Federal Office for the Environment, Switzerland). 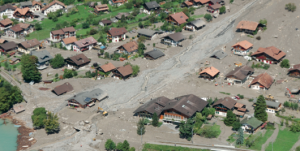 Read Flood Management Tool Series, Technical Document No. 20 on apfm.info. Am 23. August 2005 kamen bei Murgängen im Glyssibach und im Trachtbach zwei Menschen ums Leben und es entstanden Sachschäden in der Höhe von 80 Millionen Franken in zwei Dorfteilen von Brienz.